Exclusively homegrown, exclusively Filipino. 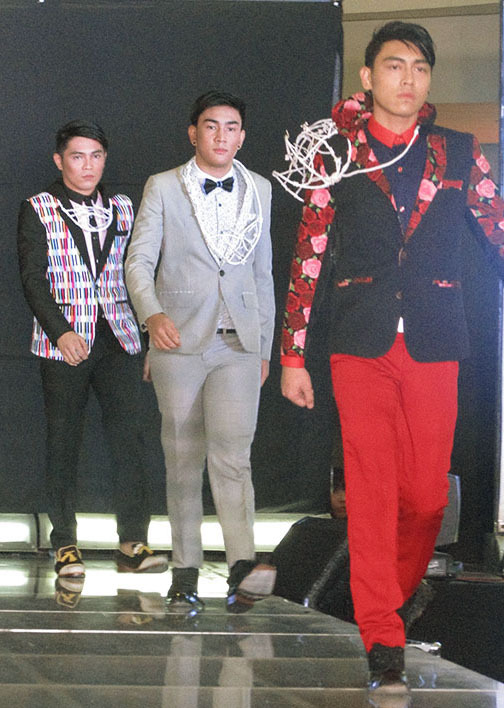 This is the Pilipinas Men’s Fashion Week showcasing its Holiday 2014 collection with the creative and talented Filipino fashion designers – both groundbreakers and established in the industry. All set and ready for the international limelight. 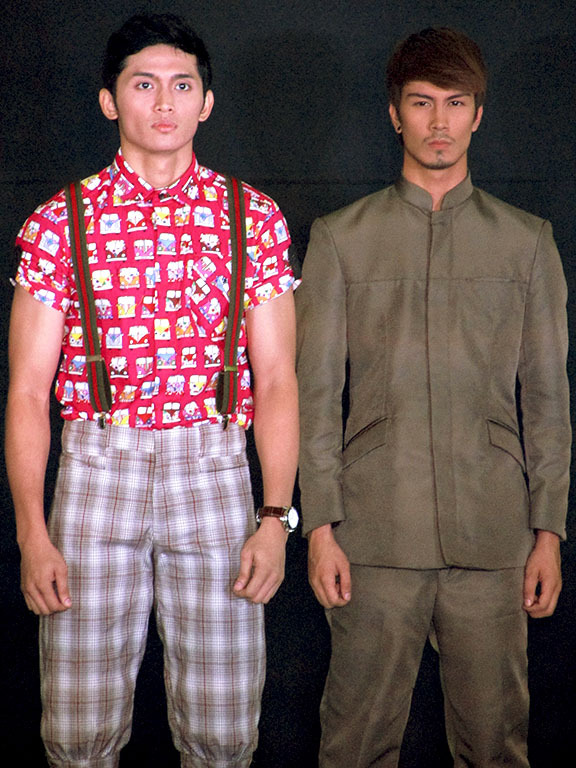 Say hoorah to Filipino menswear! 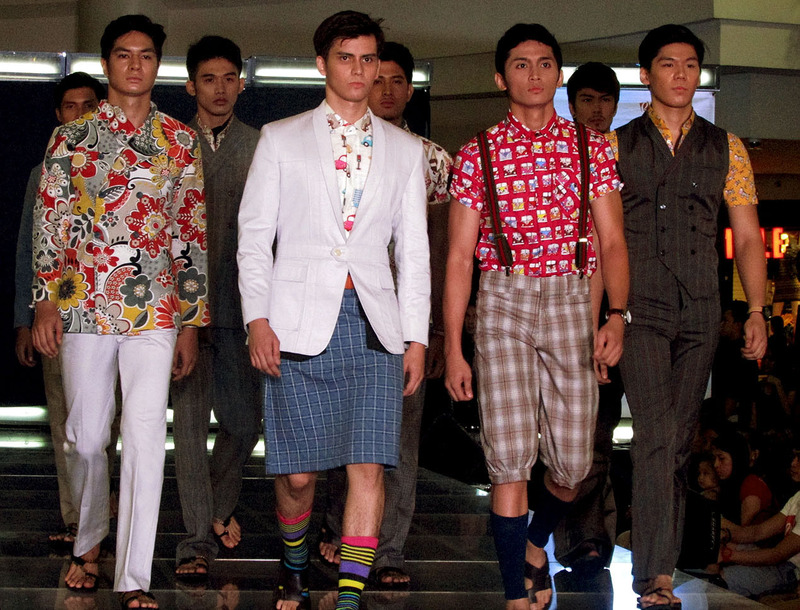 Here’s the final part of the two day menswear runway event of the season. 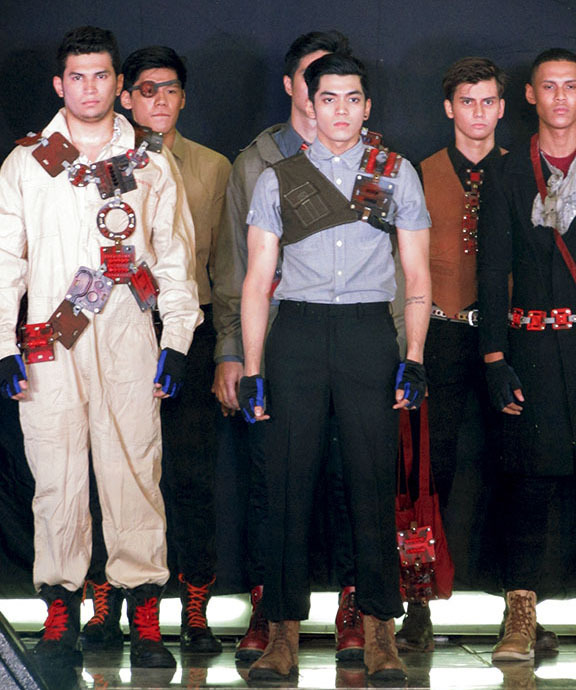 Junkstapose-dubbed collection featured accessories made of metal scraps, belts and studs didn’t veer away the masculinity of classic menswear pieces. A great eye for design and styling emancipates in this Gherkin architectural design inspired collection. 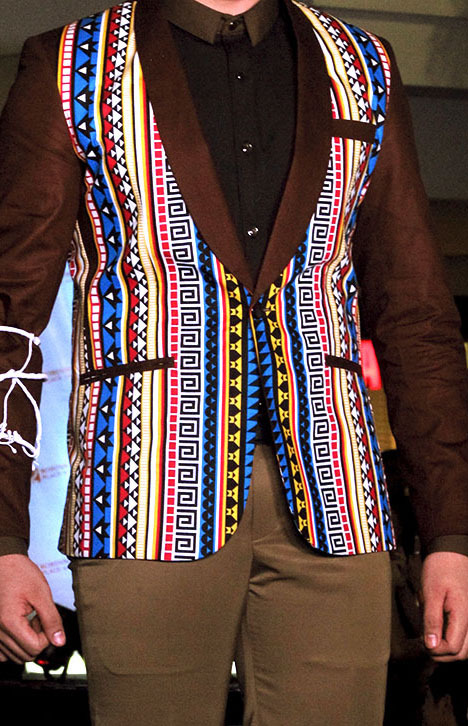 Lines and prints of right proportions and luscious burgundy color synthesis pushes the envelope of menswear clothing. 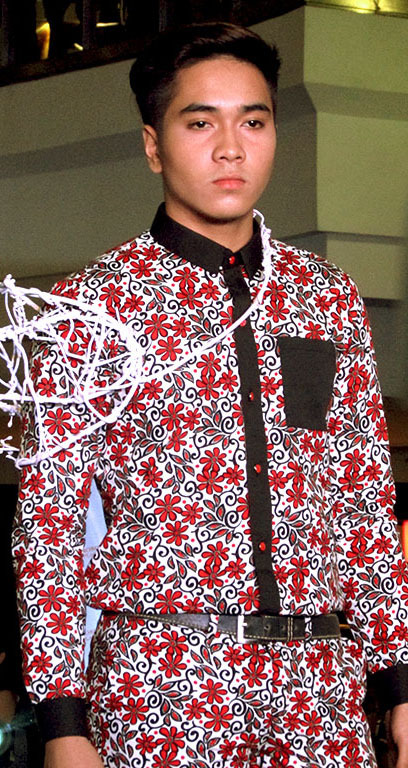 Think oversized, think easy, think flowy – Yako Reyes’ Holiday 2014 collection bravely takes us to what’s really breaking barricades on international runways nowadays. 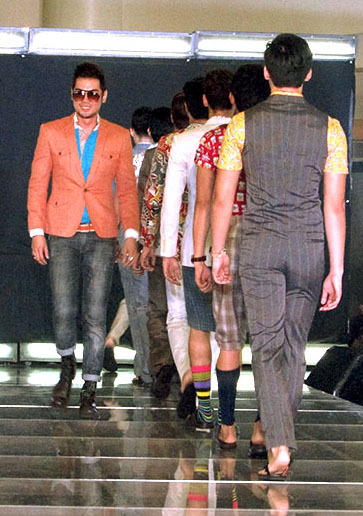 And yes, menswear draping and layering have its place in Philippine fashion. 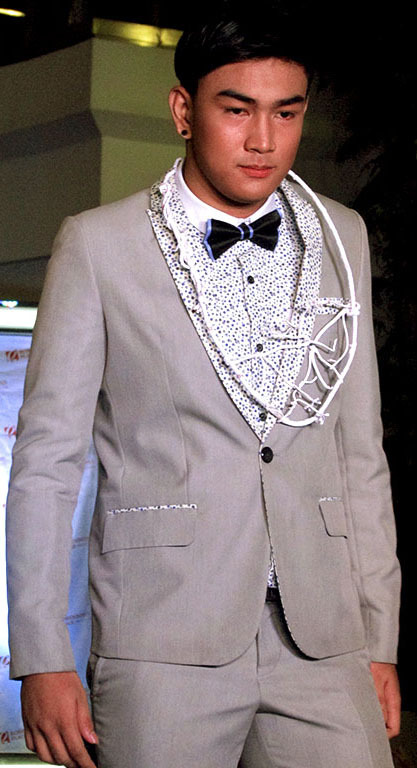 Hooded-blazers, floral contrast, subtle graphics, boy they may be two seasons ago but contemporary fit, proportions and that fine tailoring proved this collection as one of the best this season. As they would say, great talent does run in the family. As if looking through a stained glass – or at it for that matter, it interestingly adds an understated layer of curiosity on a clear, sophisticated sight, obscuring but powerful at the same time. 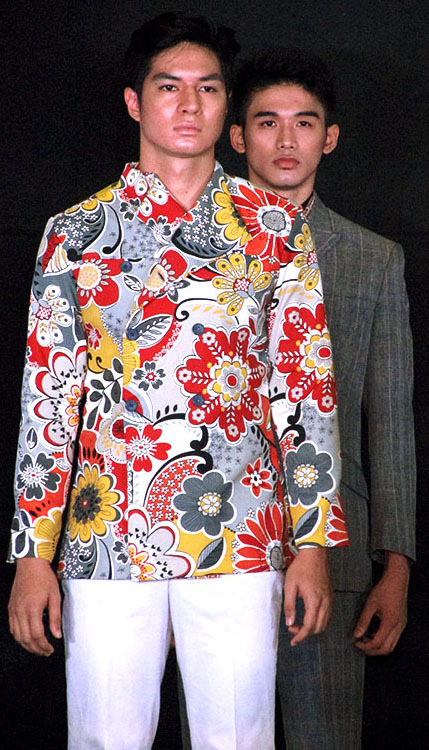 The Stained Glass collection is a remarkable finale of menswear flair and tailoring. 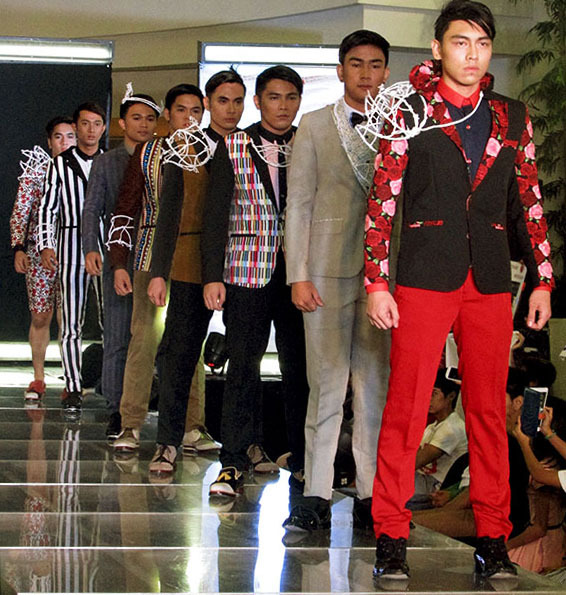 Cheers to the Filipino talent and for the successful Pilipinas Men’s Fashion Week Season Four Holiday 2014! Shout-out to all creative teams, models, production teams and enthusiasts. 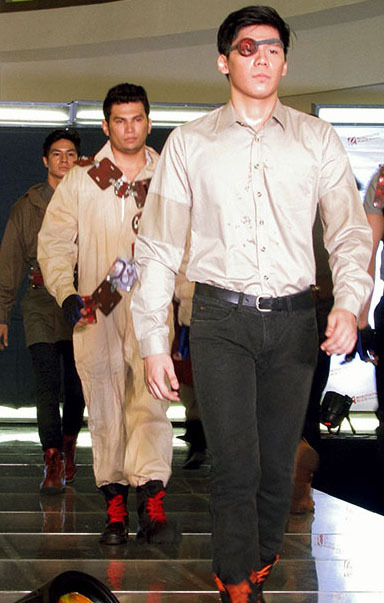 Be sure to visit and Like The Pilipinas Men’s Fashion Week and Argel Erfe Facebook pages for more gallery and event details. 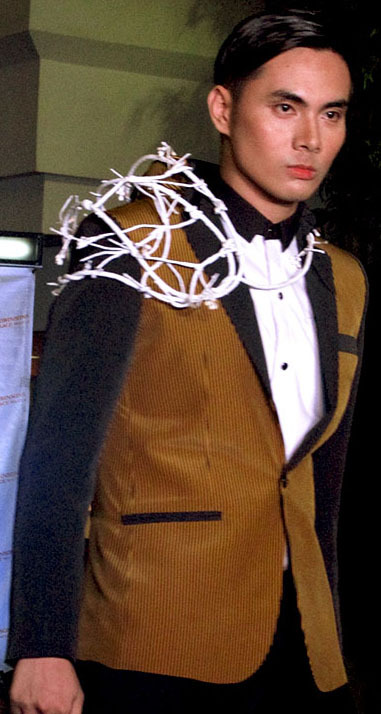 Pilipinas Men’s Fashion Week is presented by Robinsons Place Manila and Nico Agustin Menswear.